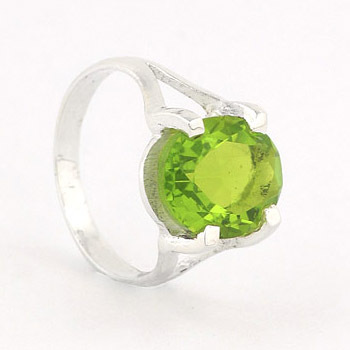 Peridot is an attention grabbing gemstone with its fresh bright green colour. Set into sterling silver it looks clean and fresh. 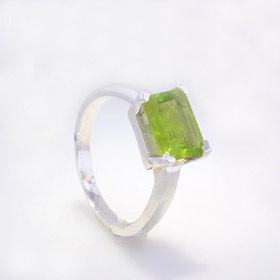 All our peridot rings are faceted and set into sterling silver. 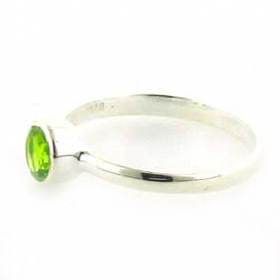 A peridot ring is an August birthstone ring. 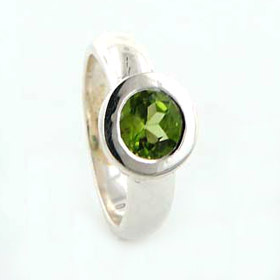 See ourperidot jewellery collection for more pieces to coordinate with your peridot ring. 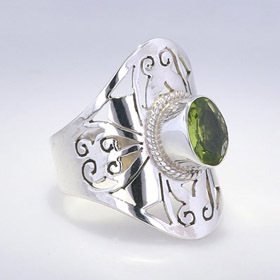 Shop for your peridot silver ring below. 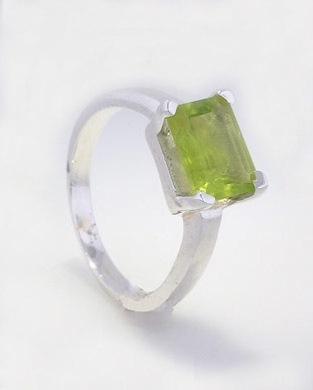 Peridot ring set in sterling silver.